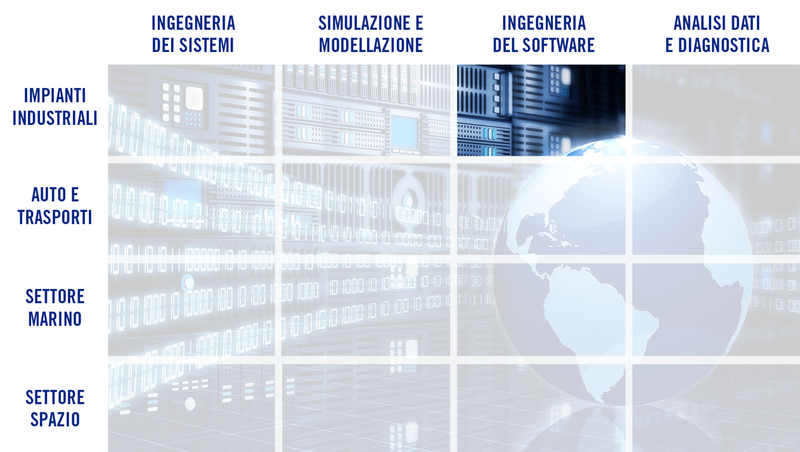 SATE ha messo a punto veri e propri prodotti software cedibili in licenza d’uso, non esclusiva, a propri clienti, per la simulazione di vari tipi di macchine, dai compressori alternativi ai sistemi pneumatici. Queste applicazioni sono normalmente specifiche ed adattate alle esigenze di ogni cliente e richiedono un’evoluzione continua in base alle dinamiche tecnologiche e del mercato. 92C - Supply of version 3.0 of the proprietary ACUSCOMP program for the dynamic simulation of reciprocating compressors interacting with piping flow dynamics - 2010, Jul. 89C - Demonstration of a real time diagnostics software for internal combustion engines cooling system - 2010, Apr.-Jun. 88C - Specification and assistance to tests of a centrifugal decanter - 2010, Apr. 84C - Study of internal fluid dynamics of centrifugal separator to avoid leakages of product and lubricant - 2009, May.-Jun. 81C - Supply of version 4.0 of the proprietary ACUSYS program for the dynamic simulation of gas pressure pulsations induced by compressors in plants and of the version 2. ACUSCOMP program for the dynamic simulation of reciprocating compressors interacting with piping flow dynamics - 2008, Nov.
29C - Supply of version 2.1 of the proprietary ACUSYS program for the dynamic simulation of gas pressure pulsations induced by compressors in plants and of the proprietary ACUSCOMP program for the dynamic simulation of reciprocating compressors interacting with piping flow dynamics - 2001, Jan.-Dec.
27C - Development and license of a real time modeling software, for SIMULINK environment, of the PGT10 Gas turbine - 2000, Aug.-2001, Apr. 13C - Supply of the proprietary ACUSYS program for the dynamic simulation of gas pressure pulsations in gas plants and combustion chambers - 1996, Oct.-Nov.